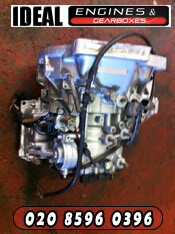 You are at the right place to buy automatic gearboxes for Vauxhall Astra Van. We supply new, reconditioned and used automatic gearboxes. All of our reconditioning is done in our own workshop so we know how to repair transmission inherent faults and make them better than the original design in many cases. You can also call us to get advice and a totally non obligatory quote. We deliver to anywhere in the UK as well as Internationally.